With the Access Hybrid Race you'll quickly find you have superpowers. Well, almost. The lightweight, nimble aluminium frame - designed and specced specifcally to meet female riders' demands - and powerful, smooth Bosch CX drive unit mean that no destination is too distant and no climb too steep. Your riding buddy had better have her wits about here if she's not to be left behind. We chose Shimano's SLX and XT 11 speed gears for their wide range and reliable performance, and added powerful hydraulic disc brakes for safe stopping in any conditions. The RockShox Judy Silver air fork is easy to adjust and helps smooth out even the roughest of trails.  And a powerful 500Wh battery gives you the power to ride further and longer, so you can keep coming back for more. Ebikes can be ridden and enjoyed by any-one aged fourteen and over! Customers come from all walks of life and wildly differing motivations for purchasing an ebike. Whether you want to ditch the car because you are fed up with being stuck in traffic, want a greener form of transport, or to be able to cycles longer distances and enjoy your surroundings then a CUBE bike can definitely meet your needs and many more.